Happy to share a solution to one of the most common issues among Dropshipping promotion. My Facebook ads keep on getting rejected, when i edit and appeal them my ad account flagged for violation Facebook policies. 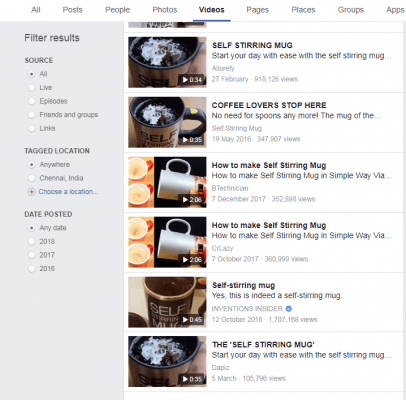 Make use of Facebook Blueprint – Free Online Training for Advertising on Facebook. Once you understand the above 2 things, the chance of getting an ad account flagged is very less. Always run ads from your Facebook business manager account rather personal account. So that you will be having multiple ad accounts as back up. When your Ad is not approved, Facebook request you to edit ad and make appeal. NEVER EVER DO IT. 200% SURE YOUR AD ACCOUNT WILL GET FLAGGED. Alternatively duplicate the campaign, make some possible modification and submit to review as a new ad if it is approved fine. If it is not approved, nothing to worry. Dropshippers has 1000’s of products to make money. Try some other product, if again not approved try one more product. After submitting 3 different products, ads keep on not approved. In this we can understand that, the problem not in our products. Here we need to contact Facebook to appeal our ad through this contact form. Remember, please do not edit ad and appeal. Always use the contact form. Facebook will reply like that you violated their Ad policy by promoting something which is not allowed on Facebook. But they never let you know what is the actual problem. 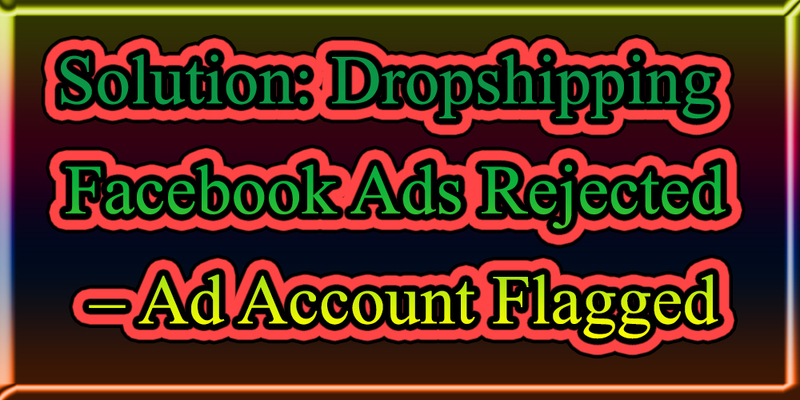 Now the problem in your Facebook Page or your Store Domain or Your Ad Account. We need to do some testing to find where the issue is. Create new Facebook page, run ads with a new product (not from the 3 products rejected earlier) call to action with your store link. If the ads approved problem solved, continue ads in your new Facebook page. If the ads not approved, problem might be in your store domain. Create a new ad campaign with the new Facebook page which you created earlier and with a new product (not from the 4 products rejected earlier) and call to action with product link from any other store domain. Submit for approval. If it is approved, problem with your store domain. We request you to transfer your domain and start ads from the scratch. Before transferring a domain, we must check is there something problem in your ad account. Make use of your Friends or Family Members Business Ad account. Create new Facebook page again. Run ads with a new product (not from the 5 products rejected earlier) and call to action with your store URL. Still not approved, no other way we must transfer to a new domain. Already i have instructed to have a look at Facebook Ad policies and Blueprint Training. Now it is my personal advice to go through how your competitors promoted the particular product. How they used the texts, phrases, emojis and offers. So that we can prevent our ad disapproved. It is the one still i am following it. Example: Self Stirring Mug a famous Dropshipping product. If i am going to sell it, i will check how others promoted this product. Just type the product name in Facebook search and tap to videos. Most of the resulting videos are ADS approved by Facebook already. I choose the best ad content, slightly modify to make it even better. Like this I am reducing risk of ad rejected. Breaching the Facebook Ad policy. We used images, videos, words, phrases and statements which is not allowed. So it is recommended to checkout Facebook ad policy before start your first Ad. I know many people they never read ad policy and it is the most common reason why their accounts suspended and banned. Another reason why your Ad account gets shutdown if you are from a country that seems suspicious to Facebook like India (my account blocked few times when i start Facebook ads), some place from Africa and some countries which raised red flags for Facebook. If you are from rich country like USA, UK, Canada and some top EU countries, Facebook has less problem with that. Maybe there are lot of things wrong with Facebook but their system just detects the scams and problems from certain places in the world and you actually sign up to Facebook from those places, your account gets shutdown for suspicious activity. Another common reason is if your payment method address doesn’t match the address and data you entered in Facebook ad account or business manager. Facebook can detect the name on your Credit/Debit card or from your bank if that doesn’t match the name and address all the information you entered within Facebook in the ad account settings or business manager settings then it raises red flag to Facebook. Make sure you are not using proxies to hide your ip’s and make sure the address and name of your payment method and credit card must match address and name in your Ad account settings. When already your ad account is disabled and trying new account with the same name, address, credit card, it will also disabled instantly. Once one of your Ad account is blocked, technically you are not allowed to advertise in Facebook ever again. One account banned is equals lifelong ban on Facebook advertising platform unless you reactivate your ad account from Facebook by appealing them. How Long Does It Take to Make Money in Dropshipping?